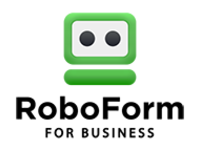 RoboForm is the perfect password management tool for businesses and organizations of any size. RoboForm provides secure and automated password management for all employees on all devices. By directly addressing all critical points in the password cycle, from password generation, to storing, reuse, and sharing, RoboForm increases security and productivity while eliminating costs associated with password resets. 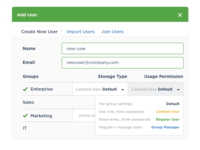 The Management Console allows companies to easily onboard all employees, delegate permissions, deploy security policies, assign credentials, and view reports. Roboform Is a Must Have For Me! Pros: Since I don't need the paid for version features such as using it everywhere on all devices, I use the older version that is still free just on my laptop daily and am very happy with it! I use it most often to fill out entries and forms to enter many giveaways daily or any other forms for free samples or to fill in just the basic personal info, such as address, name, phone number and email on surveys I fill out and most helpful of all, it will remember all of my log in details such as email and username and passwords for any and all websites I go to and fill that in for me too! That last feature alone is a must for me! I can even have multiple users info logins on my Roboform. It is easy to edit my info in case it changes too & that is saying a lot since learning new tech things is not always easy for me. Cons: I wish that once I make multiple user log ins that I could switch them around in the order they appear when they pop up. (IF you can, I have not realized how yet. LOL) A very important thing to take note of is that once in awhile, when you have the Roboform automatically fill in an entire basic form of your name, email, address, phone number, once in awhile it will fill in that info but put them in the wrong places, so never assume it is right, always at least glance to double check. Fortunately, this is only an occasional issue on some sites and not the norm. If you want to use Roboform on all your devices such as a laptop, smartphone etc, then you need to pay monthly. I like it much better when they had the option to pay once for lifetime use. I don't like to sign up for monthly payments. I've had some stress figuring out how to transfer paid for software from 1 laptop to a new laptop but eventually figured it out. The master password annoyed me but since it's not needed in my case, I was at least relieved to finally figure out how to get rid of it. Read FAQS! Overall: I use Roboform every single day for quite a few years now in order to make entering giveaways and sweepstakes much faster and easier and also to fill out just the beginning basic standard info on me for when I do surveys, such as the name, address, phone number, email, household income, career/job position, and to fill out any forms for whatever else with basic info, such as requesting free samples to things. Another thing I use it for daily, even more than the above is to log me into various websites by remembering all of my log in info for each one. I could have a different password for every single website if I chose to and it would remember and log me in at every single one of them without me having to remember any of it. It's easy to edit/change in case I change that info too. I consider this software a must-have for me. I Love Roboform! Thank you for taking the time to provide such thorough feedback! Regarding the order in which logins display, they appear alphabetically. To alter their order, simply attach a number to the front end (e.g. 1Gmail). For any form filling issues you're experiencing, please do not hesitate to submit a ticket to our technical support team so they can troubleshoot. Lastly, if you ever have issues transferring licenses, please let us know and we'll be happy to assist. Thanks again! Pros: In my current job it is always very important to maintain high levels of security and the utmost confidentiality when preparing legal documents for the company. Taking this aspect into consideration I have a software suite that I use to maintain the security of the legal documents I produce, and among those is Roboform, a very complete software that allows me to manage my passwords from the comfort of a central panel that manages them, in short, Roboform is the best password manager I have ever used. Roboform has certain benefits that complement my work routine. For example, I could mention that Roboform works for me as a password pointer, since I manage several software and online accounts which I depend on to meet my work goals. Roboform not only saves my passwords, but it is also quite intuitive and when I enter the pages or software that require a password, Roboform adds the self-filling of the information, making it much easier for me to use the software and web pages. Another great benefit that Roboform gives me is that I can customize my login, always remembering which passwords I have stored in the central panel and for which software and web pages I should use them. Without a doubt Roboform is one of the most complete software I have used for these purposes and I would not change it for anything. Cons: Roboform should incorporate higher levels of security so that passwords can be used. Currently my Roboform session is protected because I have other two-step authentication software that keeps my account completely secure. My recommendation to the Roboform technical team is that they incorporate more security in the use of their software, of rest I think it is an excellent software that is very easy to use and free. Thank you for taking the time to provide feedback. Rest assured, security is our top priority. In addition to AES256 bit encryption with PBKDF2, we also require a minimum Master Password length of 8 characters, with a minimum of 4 nonnumeric characters. The Master Password is not transmitted to our servers and all decryption happens locally. Additionally, we offer secure sharing and two factor authentication. For more information regarding RoboForm's security, please visit our Help Center as well as our security page (links found below. Pros: What I like the most is the ease of storing my passwords, and RoboForm is a secure feature. It has the option of filling out forms as well as submitting them if you so choose. You can have several identities in it, such as yourself and each family member with each one's own information; ie: address, birthday, etc. There is a free version which will store up to 10 passwords, or the paid version which is unlimited. You also have the option to protect each password with a "Master Password", which double protects your account. As you log into your sites and want to save your password, RoboForm asks if you would like to save, and lets you create/choose categories you wish to store them in. Home is default, you can create whatever folders you want such as each user name's category, work, games, etc. With so many passwords needed for work, I would not want to be without RoboForm. I have never had an issue with security, and find it a great value for the money! This makes about eight years I have used it. Cons: I think that what I liked the least about RoboForm is the difficulty to "attach" it to some browsers and to sync it together. It attached fine to IE and Chrome and has its own browser bar in each. In Edge, it took several tries to get it to work; and even now I have to click the icon in the taskbar to be able to use it. Thanks for the detailed feedback. We're sorry to hear attaching RoboForm to Edge was such a hassle. The icon does require an initial click in order to access your RoboForm data, but if you're having issues with the extension remaining attached, please do not hesitate to contact our technical team so they can assist. Thanks again! Maximum security in the protection of my passwords. Pros: Roboform is the leading software par excellence in the management and storage of user passwords for logins. This is its greatest strength and why I use it in my work environment. Currently in our work group I manage the treasury, event planning, cultural and theatrical activities; to keep protected and stored each of the bank passwords and electronic kernels, this software is my undisputed ally. Only by logging in with my user I have control of each of these passwords and I can use them freely in the pages or sessions that request it. A Software that I fully recommend, since with this software you will no longer have to worry about the loss or forgetting of passwords necessary to give continuity to your work activities, and the best part of all this is that it is free and very easy to use. Cons: Perhaps its great strength can also be its great weakness, I mention this because roboform stores each of your passwords centralizing them in software, the weakness I observe in this is in relation to hacking my account, since an unauthorized person who enters my roboform session could steal each one of my keys. Thanks for taking the time to share feedback! We're thrilled to hear you're putting RoboForm to good use. Regarding security, it's of the utmost importance to us. Decryption is performed locally on your local browser and not on our server. No RoboForm data can be accessed without the Master Password and the Master Password is never transmitted to our servers. As such, even in the unlikely event that our servers were breached, your data is effectively useless without the Master Password to decrypt it. Should you have any remaining questions regarding RoboForm security, please do not hesitate to reach back out. Thanks again! Must-have to manage all your online passwords! Pros: Using just 1 master password to upkeep and maintain all my online account passwords had helped immensely all these years. It served me well in checking passwords when I forget as I age. I don't have to remember all the passwords, which I found to be a chore! Besides, it can help generate strong and secured passwords on the fly when it comes to creating new online accounts for products and services that I frequent. Moreover, I can sync all my passwords across PCs, Macs, laptops and mobile devices with just 1 click. Easy peasy! In short, it is a great time-saver. Cons: Minor issue is that when the password list gets too long, I had problem locating and auto-filling it in the right account! Even with the search function, I sometimes can't locate the right password. Other than that, Roboform works wonderfully for me. Overall: Time-saving and easy password retriever! Hi Brian - thanks so much for taking the time to provide feedback. We're glad to hear RoboForm is is helping you out. Regarding the minor issue you mentioned, try renaming the login(s) to better suit your needs; this is the best way to gain more control of your list. Recognizing the name of the login should be designed on what its for (e.g. "facebook," "facebook-kelly," "fb-jim"). This naming scheme helps when you more than one account for the same site/domain. Otherwise, should you require additional assistance, please don't hesitate to reach back out. Thanks again! Pros: I like the ability to create folders and subfolders to organize my work and personal life within the password tool. The business account ability to share passwords with my staff with giving the password to them is incredibly valuable. Of course it works on all of my devices and stays in sync. It's a huge time and brain saver. No I no longer care to know what my passwords are. RoboForm manages it for me. Cons: It's a small thing but the extension for the Edge browser needs some improvement. It works but not as seamlessly as the extension for Chrome. Overall: I thought I had maybe 100 places that I used passwords. Turns out it is more than 500. No one realizes just how many places they've given a password to. Capturing all of these and making them all unique has dramatically increased security on my accounts. Thanks for taking the time to provide your feedback! We're so glad you've chosen to use RoboForm for all of your logins! Regarding Edge, unfortunately as it's a standalone extension (per Edge requirements) and cannot be installed via the universal Windows installer, it does have limited functionality. We are aware of the frustration that may come along with this, and we appreciate your understanding. We love this product and have now used it for several years. Great secure password tracking. Pros: Reasonably priced, secure, cloud based means of securely storing and accessing the bazillion login/passwords we all have. I can get easy access to all my logins from any machine that I run using the RoboForm anywhere service. I can't imagine not using this type of product. Cons: My greatest fear is that one day I will see headlines saying that SiberSystems servers were hacked. Maybe this is unfounded, but that's really the only think I don't like about storing the crown jewels on a vendors servers. Not a criticism of RoboForm per se, just a concern about the concept. However I believe the encryption and security they uses is adequate to justify use of the product. Overall: All my log ins and passwords are now securely stored in the encrypted cloud, all in one place, with easy (secure) access by me from just about anywhere. Thank you for taking the time to provide feedback. We certainly understand your security concerns, but rest assured, security is our top priority. We go to great lengths to protect our user's data and we're happy to address any specific security questions you may have. Additionally, you can find a brief overview of RoboForm security here: https://www.roboform.com/security. Pros: As a long-time user, I most appreciate their commitment to continuing development. The software is updated frequently and they continue to expand the platforms on which the program/app is available. Cons: In the Windows environment, there's nothing I've found in this market segment that I like better than Roboform. It's been around for many years, and just gets Windows. Its iOS product is getting better (and automatically syncs with other devices) and they continue to expand to other platforms. Unfortunately, their Mac program is still not quite up to snuff, with several deficiencies in performance relative to the Windows version. Overall: These days-even with Google and Apple offering to save all your passwords, a somewhat scary proposition-a password manager is simply a requirement to ensure you're creating, remembering and using singular and secure passwords. Roboform is excellent on Windows and getting better on Mac and iOS. Thank you for taking the time to review RoboForm! We strive to provide a consistent and quality application across all operating systems and devices. Should you have specific requests for Mac, please do not hesitate to send them our way: http://bit.ly/1L9QELn. Thanks again! Pros: Ability to store as many items per page as necessary. Can use to fill a complete web form with data that doesn't change (I.e. a Bill of Lading where 90% of the info required is always the same). Able to have all passwords at your fingertips when using the desktop and iOS versions. Cons: The alphabet running down the right hand side of the list of logins does nothing. I have tried hundreds of times over the years to tap a letter to go straight to that section of logins thinking I am just not being precise enough, but it simply does nothing, ever, not once! The only way to get to the "Z's" is to scroll down. Really frustrating to have the appearance of a shortcut but not have a real shortcut. Overall: Overall, RoboForm is probably one of the most useful programs to own. I have recommended it many times over the years and will continue to do so. We appreciate you taking the time to provide feedback. Regarding the iPhone scroll feature, the information has been passed along and we expect the improvement to be released in the very near future. In the meantime, we apologize for the frustration and we appreciate your patience. Thank you again for being a RoboForm user! Pros: Identities. And Reliability. Ability to store much more than just passwords. Overall: Actually, I am a personal level user, even though I have the business level account. I have several hundred passwords that RoboForm has been managing for many years, and overall I'm quite pleased with the product. Tried Dashlane and OnePass for a while, for they seemed now more prevelent, but came back to RoboForm, since it just performed better. I am now planning to get a lot of the family information/records into the system, and share out with my grown kids. I hope you can continue to develop the product. A software that I highly recommend to people who use a lot of logins and passwords. Pros: I have a wide range of websites, online accounts, bank users, services and programs that I use at work where I have to have a username and password. Roboform came into my life at the right time, it stores an unusual amount of users and passwords, allowing me to save important time in the search for each password, and also allows me to have my passwords protected without having to use my memory to access my users. In addition to this it is very easy to use, just indicate in the search tab of the web browser that you want to use roboform and READY! Your password will appear instantly. Your protected database is very useful for the functions I perform at work and also works for me personally. Cons: At the moment I have not been able to get any cons in this software, as I have tested it in several pages, in several web browsers and applications without any problem. It is a software that optimizes the use of passwords and users in a transcendental way. I can't find any flaws in the software. Overall: To incorporate this software into your daily work functions is to say goodbye to wasted time by remembering and adding users and passwords. Although it may seem simple, accessing bank, business, corporate, administrative and even project review accounts with a single click is a great convenience that saves time that can be invested in other activities. Pros: The colourful icona which gradually adorn the login screen which consolidates cumulatively; 2FA protection for the business version of Roboform Everywhere; the partner software discount offered with GoodSync, both softwares which have been a boon to security and productivity in syncing files during the everyday requirements to safeguard data in today's climate of cybersecurity. Cons: Software for Roboform does not come cheap after the 1st year once on closer examination of the fine print email offers which come by occasionally. Maybe a special deal discount offered occasionally to reward older customers with a long standing ongoing account with Roboform can bring a smile to customers of Roboform. Overall: Apart from the lack of Windows Hello Software recognition, which other password managment softwares like Keeper does include in part as an example of its competing features which fully take advantage of the security features most modern laptops have; I'm certain Roboform will catch up on in due course, it's been a breeze to use as a shortcut gateway (once properly configured) to bypass equivalently like an automatic toll payed system to allow very convenient access to the various online accounts, or even serving as a platform to safeguard other data well preserved in perpetuity in digital form. Pros: RoboForm makes it easy to share logins between coworkers. If one employee updates a login, it's updated for all other employees who use that login. You can assign certain employees to certain login lists so not everyone has access to everything. You can fill checkout screens with your credit card and billing address with one click. You can store secure notes in a "safenote" which are not a login but maybe a pin number or access code you still need to share with employees (for example, after hours gate lock code for the building). Great customer service and ticket submission for any issues you need tech help with. Cons: Implementation was a little messy and delayed with version 7 when we first started a few years ago. We needed to update to version 8 last year in order to fix a couple issues and once we got to version 8 it's been smooth sailing. Overall: Not having to think about all my different logins. Having credit card information securely stored for easy access with online purchases. Sharing login with coworkers which are updated in real time. The Best Password Manager available! Pros: RoboForm stures your usernames (or email account) and password to sign into all your favorite sites. The software also works as a bookmark manager too to remember the site addresses (has search function) and then when you arrive, ability to use saved login information. And I create folders allowing me to separate bills, career, housing, and whatever I desire. This software can also generate passwords that are random so they are stronger. I have used this software for over 20 years and it was one of the best purchases I have made. Cons: The free version allows you to save about 10 passwords. But after you try it, you will buy it so not a big issue! This should be available at all companies as they require different passwords for everything. And companies want to 'generate' complex password which cannot be guessed... but that is harder for you to remember. Overall: Easy to use, and remembers what you need to secure all your sites. Even offers a Master password so no one can access your password even if they access your computer. Cons: At first it costs a bit to use it and more when you do not have prior knowledge of this software. I needed assistance through videos, web tutorials and advice from my nephew, however, understanding their functions is very easy to use. Overall: When I use Roboform, the feeling of security that I give is incredible. Sometimes having all the control of the more than 10 passwords that I must use every day was quite tedious, having to write them down on slips of paper and take them with me everywhere. Now this was in the past, Roboform is an excellent software that makes the difficult thing much easier. Allows me to keep all my logins and passwords in one place and access them anywhere. Pros: The feature I like the most is the ability to share certain passwords with my coworkers. My company is on the Business edition, and we have various shared folders set up. The passwords are always up to date for everyone even if someone has to change one. Cons: My only complaint is that with the web, desktop, mobile, and all the browser extensions, it seems like they are not always all on the same version. Overall: Ability to maintain and share login credentials, passwords, and notes securely. RoboForm is a central pillar of my working and personal life. A blessing. Pros: Roboform frees up my head space of passwords and identities, it transports effortlessly between PC and mobile devices. The ability for me to pre-fill docs is a godsend. The added advantage of Roboform Business gives me the security to define what passwords and access level each staff member gets but also insures that I have total access. Cons: The fact that passwords in subordinate accounts do not automatic populate to the master account can be problematic or that password changes are not automatically changed in all accounts that have been cloned. This often create confusion on who has the updated password. In all cased the master account should be the absolute. Overall: This is a central component of my organising and moving through my day to day life. with one master Password I can create multiply passwords without the difficulty of remembering the all including the log on address. On any new set up of a device generally Roboform would be in the first 5 application to be installed. Cons: That the Identities are NOT available in the Roboform IOS Application. We also don't like that the Roboform Toolbar is gone on the Mac Side. We assume this is because of a browser limitation. Also, we would prefer the toolbar for Chrome on the PC to be at the top. Overall: The network integration for my team is fantastic. We can share passwords with everyone but have some security on the entire process. Thank you for taking the time to provide your review. Regarding Identities in iOS, this is not appearing due to admin settings. Please consult with your company admin to fix this. As for toolbar issues, you are correct, they are unfortunately due to browser limitations. Pros: Keeps track of all of my passwords automatically, further it will create randomized passwords so every account has its own yet there is no issue remember ing all the different ones as RoboForm does it for you. With the mobile app, you can take all your passwords with you wherever you go which is perfect. They also support fingerprint login and multi-factor authentication. Cons: Still having an issue when using a high dpi screen to remote into a standard dpi screen the fonts on the browser toolbar does not scale and is almost impossible to read. Overall: No more keeping track of passwords in a un-secure manner. -Its highest quality, manage passwords. It is no longer a problem to manage multiple passwords thanks to Roboform. -The format of auto filling is an excellent option that saves time and effort. - Its synchronization with the explorers makes it easier when using it with internet. Cons: Sometimes I have had problems to use the auto-fill formats, since they tend to get confused, so I have automatic information filling in different pages from the ones initially selected by me, creating problems for me. Pros: I like how Roboform keeps itself up-to-date with unintrusive notices. It used to be a pain, but they have smoothed out the process, and it's much better now. Also, it is such a no-brainer, even my wife became a paid user a few years ago after she saw how much it did to speed up all kinds of things, whether it's shopping, paying for things, or just signing in to our web sites. Cons: Nothing, actually. I need to pare down my list of logins/passwords, because the list is too long, but that's my bad. Overall: We both feel a lot safer having a wide variety of difficult passwords that we don't need to worry about managing mentally. We's getting older now, and I have relied on Roboform for as long as I can remember... 15 years? Probably! My wife has been a user since 2010, and she loves it. Pros: Simple and easy to use. Has autocomplete for forms, which is a one click login. Works great on mobile - with finger print access. Works perfectly for pin codes and similar notes - a one stop shop for logins, credit card details and similar data. Plugin for Chrome. Good value for price. Cons: The chrome plugin has bugs. Plugin doesn't recognise all forms and doesn't save the login details automatically then. No workaround to save logins if it doesn't recognise the form. Overall: I use it for passwords for around 500 accounts and all credit cards and similar personal information. Pros: I have been using this product for several years and recently rolled it out at my company. It's easy to use, transportable, and secure. You can install it on any device you use and if you make a change to a password on one device, you can sync another device to the cloud ensuring you have the most recent passwords. Cons: The only thing I dislike is you can't forget your master password. If you do, RoboForm doesn't offer you the capability to change or reset a password if you forget it. I know this is the point of the product but it would make life easier if there was a "forgot password" function on the main site. Overall: Great overall experience. Definitely worth the money. I liked it so much, I rolled it out within the company I work for. Pros: RoboForm is easy to use. It is literally just a click and fill. It saves the website a long with the login and password. Updating a password is easy too. No more excel worksheet with a list of user names and passwords. Cons: It doesn't work for all sites. I haven't been able to figure it out but I think some websites block the use of RoboForm which is inconvenient but you just type it the info manually. Also when going to a new site you only have a few seconds to tell RoboForm to save the new site and password or you have to enter it manually. Pros: Anywhere version allows use on multiple devices. Program is compatible with several browsers, allowing you to keep passwords in once place instead of within each browser. Far more secure than storing passwords in browsers anyway, as a password is required to access and use RoboForm. Cons: It doesn't work with a few websites that seem to have their login routines programmed differently. It doesn't integrate well with Microsoft Edge. Overall: There are frequent updates and support is available if you need it. Overall a great piece of software that I have used for over 6 years now. We appreciate you taking the time to provide feedback! In regards to Edge, we're aware of some persisting issues and we're working with Microsoft in an effort to improve the integration/functionality. Pros: Facilitate login and password generation, common folder for staff to have access to same websites for ease of work execution. Cons: Some time especially on mobile device (android user) it does not pop up to log into a sight. Have to go to actual Roboform app scroll through logins and log in that way. Also few time it woudn't log on PC. One of the best password managers on the market! Pros: I've been a long time Roborm user and have seen this program continually evolve every year. I love the cross platform compatability and synchronization functionality and advanced form filling features. I also love the fact that not only does it save all my website logins it also allows me to manage my bookmarks securely and keeps all my devices synchronized and up to date. Cons: I honestly can't think of anything that has not already been covered. It would be nice if I wasn't forced to use their browser on my android phone instead of them making their app integrate inside of my chrome browser on my phone. Overall: Secure and organized password, bookmark, financial account, and form data available on all my connected devices. Pros: * Can sync passwords between computer/browser/iphone/ipad. 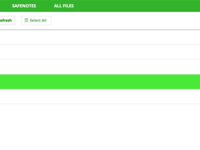 * The ability to store safenotes as well as passwords. * Easy generation of really tough passwords. Cons: * The only way to create a new website login is to go to that website and log in. Sometimes, I want to create a login manually by typing in the URL, ID and password. * Not the most intuitive of interfaces. Overall: I've been using RoboForm for years and it has saved me an incredible amount of time. The syncing between devices is a lifesaver. And I love having touch ID log-in on the iPhone. Thank you for the feedback! You can now manually create logins on iOS and Android devices. We hope to offer this functionality for Windows/Mac in the near future. Cons: I did not find any yet. Maybe I got more than I expect. Pros: This product completely leveraged my daily task processing by saving by the time of retyping, refilling and sharing - credentials storing is a great feature for me, especially when connecting to the less frequent sites, its combination with auto-refresh features can also save a lot of time sitting next to the PC. Cons: Not all sites are supported, along with the newer technologies, HTML 5 is seems to be more problematic for this product. Overall: It helps us avoiding bad configurations ans saves us major amount of time in our daily tasks. Pros: Roboform is an excellent tool for all those who for one reason or another handle many softwares or web portals that require passwords. Its use is simple, you only have to enter the web portals or software that require passwords and Roboform will ask you if you want to save the passwords. Pros: I have been using RoboForms for years and it is a wonderful tool that allows you to keep all your passwords in one place and easily transfers from one computer to the next. Cons: When switching versions from standard to business and back to standard, it kept giving me an error that the business account was expired. Perhaps a install issue but more of a burden than an issue. Overall: RoboForm allows you to keep your passwords in order, and eases the thought of forgetting them. Pros: I have been using RoboForm for nearly a decade. It does not have the best reviews out of all of the password managers. That is kind of a good thing. Since it is less popular it has not been targeted by hackers like the more known password managers. Password managers are a must. Cons: Robofrom often has problems filling out the proper fields so I often have to manually put in passwords. The app on my Android rarely works for any apps besides the Chrome browser for me. I wish it had more tips on proper password practices. Things like; reminders to update master passwords, reminders and help on updating all passwords, better integration with non-web browser apps. Pros: It's pretty easy to use, yet many of our folks still get somewhat confused when saving passwords. The biggest thing that confuses them is saving a password on a password change screen. That's a problem because that's not the normal logon screen. It would be nice if RoboForm would be intelligent enough to detect what the new password is on a password change screen and change the normal password on the common logon screen, but it doesn't. But as a pro for the software it's fairly user friendly. Cons: Sometimes users get confused. You really have to think what it's doing before saving a password and whether that's the right thing to do at the time. it also doesn't work well on every sort, maybe 90% or more but not all. Last, it's not the newest technology like SSO tools. Overall: Password vaulting and password entry. Couldn't do my job without RoboForm! Pros: RoboForm makes my passwords easy to access and manage. 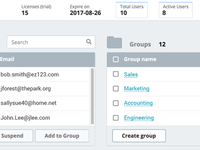 We recently upgraded to RoboForm Enterprise, and are loving the added functionality for our team. Cons: I use multiple browsers, and the user experience is not the same across the platform. I wish Google Chrome had a tool bar available like in IE. Using RoboForm for over 3 years now and saving time and sanity. Fill & submit passwords with ease. Pros: Easily integrates into the Chrome Browser and is ready to go. Starts remember all of the website passwords and helps with password protected Excel files. Safenotes also easily allows you to add software registration information, software ID's etc so you always have the information you need when you need it. Pros: It does a fairly good job of filling out forms and passwords. Support usually responds within a day. Cons: It is a fairly complex program with many features, that takes some getting used to. I believe other password managers are available for free, but Roboform is a subscription service which I've used for many years, regularly renewing my subscription, partly out of inertia and not wanting to learn another manager. There are a few real issues with the program, for me at least. One, is that it actually balks at filling out some forms and passwords. It doesn't happen often but when it does it is kind of infuriating. In the past Roboform would, unbelievably, not fill out the login for Netflix. I was told it was because Netflix used flash in its log-in screen. I don't know if that's still the case because I keep my system permanently logged in now, but just a couple of weeks ago Roboform would not fill out a login for American Express. I don't know if other password managers have this problem, but Roboform sometimes refuses to fill out fields on a form. Some forms it fills out completely and properly. On others it may not fill the phone number or other important information, so all forms should be checked. This is also a major nuisance. Overall: I continue to use Robofom, as stated, partly out of inertia. But here's another issue. Roboform also has a function called Safenotes, which I like, where one can save encrypted personal information, such as bank account numbers, social security numbers, etc. I've been using that function a lot, but one of the problems is I see no way to create separate folders for information. So one ends up with a long list of entries to sort through. The longer the list, the harder to spot what one is looking for. Most recently Roboform stopped integrating with Chrome form filler and actually disabled it. I find that infuriating, as Roboform will not fill in some forms that Chrome always will. When I complained to Roboform support one thing I was told was that browser managers and not as secure as form fillers like Roboform. That's true, but I'm intelligent enough to decide that for myself, especially when Chrome fills in forms that Roboform mysteriously will not. This might be a money grab or power grab, but Roboform should not insult paying customers by disabling a free service in favour of a paying service. Roboform is insulting its user base and should change that policy immediately. Regarding Netflix, RoboForm does/should currently log you in to your Netflix account. If you attempt to do so and for any reason it does not, please let us know so we can troubleshoot on your behalf. Provides critical and secure password management to my desktop and mobile devices. Pros: Obviously, what I like most about this program is that it manages my usernames and passwords quite effectively. I like the fact that the program installs on my desktop computer AND integrates into my web browsers, as well as several programs on my computer as well. I manage passwords not only for myself, but also client resources and my family, so I have hundreds if not thousands of access credentials to manage. Roboform makes it pretty easy to find what I need, when I need it, and has a quick and easy secure password generator built into the interface too. Cons: I've used this software for a few years, and I have found a good number of CONS that have yet to be resolved, which are in no particular order. Manually adding/editing fields in an existing login site/record is terribly akward at best; once you find the edit section you can't easily add the field you want unless it is already shown. I thought about trying another program a while back, and then realized the biggest CON - there is NO easy way to export/backup your usernames, passwords and notes for use in one of the other major programs out there. I can't recall the specifics here, but ALL the other major password management programs have issues importing from Roboform databases - so once you start, you're stuck with it. I also have a lot of issues with Roboform trying to save duplicate logins, and it constantly bothers me on sites where filling out form fields (not related to RoboForm) is required. Sure, you can make site exceptions, but that isn't always the right course of action. The interface in both the mobile and desktop apps is also terribly clumsy and needs rewriting. Hi Scott - thank you for taking the time to provide your feedback. Knowing what works well, and even more so, the things that might not be working so well, is extremely helpful. Again, we appreciate your willingness to provide feedback and we have passed it along to the appropriate team. Pros: RoboForm is easy to set up, accessible on any device and works well for us as a multi-user platform. Cons: It has trouble with some browser logins, and is not as easy to use in non-browser apps as some competitors. The explanations about who can access what in a shared environment are REALLY not clear enough. It is very difficult to show doubting employees that "Home" folders are private and secure from other employees. Still not sure about "Work" folders. Overall: Have been using it for over 4 years, one year in business. It has improved in many ways since I first purchased it. In most cases it is easy, quick and reliable. There are a few integration issues that need tweaking, but we will keep using it. RoboForm - Best Password Manager ever! Overall: RoboForm makes my life easy managing my several passwords. With just a click, it can fill out and submit credentials and make me seamlessly access my online applications. I have tried many free password managers before and are incomparable to RoboForm. Thanks for taking the time to share your feedback! Regarding the Master Password entry, you may alter the settings UNLESS they have been set as a policy by your admin. In that case, please consult with your admin if possible. Thanks again! The best Password Manager I've found. Cons: The Single Sign On and "Active Directory Integration" claims are a little misleading. Overall: I have been licensing RoboForm in its various forms since it was first released. I also license the companion product "GoodSync". When "RoboForm for Business" was released I evaluated it for use at my workplace and have since convinced my employer to implement it there. My co-workers find it very simple and easy to use. Hi there! Thanks for the feedback! We'd love to learn a bit more regarding the SSO and Active Directory Integration feedback you left. If you could please provide additional information it would be much appreciated. Thanks again! Pros: Ease of use. All employees were able to implement and use immediately. It is extremely easy to turn on and off for employees. Easy to manage from an Administration point of view. Employees are able to comprehend and use immediately without much follow-up. Organization and edit features of the program are great too. Overall: How it looks and works different between browsers. But this is a browser issue not RoboForm. It may look different and react different. A few of the features look different between Chrome, Internet Explorer and Microsoft Edge. We do not use Safari but I am assuming it is the same issue. It is not extreme and doesn't cause an issue for most only those that are somewhat tech challenged. Pros: Although it may seem silly or unimportant, the storage of passwords is important in the workplace. Daily I manage several accounts and emails associated with my work space; from access key to internal servers, to chemical information processors, which require keys, this is where Roboform becomes my great ally. Thanks to Roboform I can store all the passwords I use at work and in my personal life in a quick, easy, and most importantly, secure way. I also recognize this software is that I no longer have to systematically remember the passwords of memory, since Roboform remembers them and stores them for me, in encrypted files that interconnect with browsers. This software is simply fascinating and very innovative, it makes all of the difficult things very easy. Cons: Still struggles at times with web apps that have pop-out windows and doesn't recognize some form fields on web pages, but for the most part it handles almost everything. Roboform has improved greatly since v. 8.0 was released last year. Pros: I like that it can be used on mobile, not just the desktop. In fact, I find the mobile version more intuitive at times. Cons: Roboform developers need to bring back the toolbar for Mozilla Firefox (Quantum) v. 57. The toolbar was MUCH easier and faster to use, rather than clicking on the Roboform icon on the browser menu, and searching/filtering for a login. It's only one extra scroll to the right and click, but you'd be surprised at how much longer it takes to use to icon, instead of the always present toolbar, and sometimes, you have to click your selected credentials twice before Roboform fills in the login form. Hi Keyana - thank you for taking the time to provide a review. Per Mozilla, Firefox 57 only supports WebExtensions. As a result, support for browser toolbars like RoboForm's is not possible. We use the business application for our finance group. Pros: Ease of use and reliability. Does not break down. 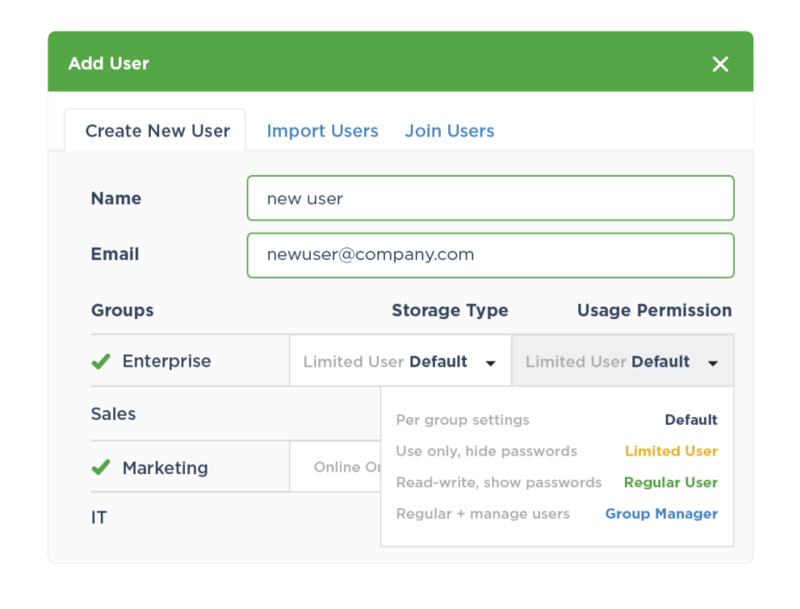 Business version allows group sharing of passwords. Cons: Mobile application is not user friendly and limited in some ways. For example the notes are not visible. Overall: Impossible to maintain the number of passwords used in the business without this software. Great tool, whole office uses it! Pros: Ease of use, simple login. When using the internet and trying to remember all the passwords, RoboForm makes it easy to use one password! Cons: Constant pop up if not using RoboForm. Some that don't use it every day have encountered an annoying pop up constantly asking for a password. Thank you for taking the time to supply your feedback. This policy is only enforceable on Windows and Mac OS. If the policy is checked and set to "Yes", the user's master password will be captured by the OS system protected storage thus making RoboForm a single-sign-on solution attached to user's AD password. If policy is set as "No", this options will be unchecked and grayed out for the end user. Pros: Saving passwords being able to save a variety of producers code. Having all passwords just a click away. Cons: There is not a way an Admin can control all licensing accounts and the passwords such as preventing employees from saving a passwords twice. Thanks so much for taking the time to provide feedback! In regard to admin control, there are policies for an admin to prevent users from creating any RoboForom file type. This means users can be prevented from creating logins, identities, bookmarks, safenotes, application logins, and contacts. By doing this, the user is forced to only use the RoboForm files assigned to them by the admin via group membership. If users are allowed to create their own RoboForm file types, the RoboForm local client calculates the user's security score (duplicated passwords lower the score dramatically). Admins are able to see this score in the admin interface and prompt a user to change the duplicated password. Should you require assistance with setting specific policies, please do not hesitate to contact our For Business team. Thank you. Pros: I've been using the software for more than 5 years and I'm very pleased with it. I just switched to the business account that lets me share password with my collaborators. I like the simplicity and reliability of the interface. I also like that each password is a file and I can save them and backup myself. Cons: I'd like to be able to store images as well. I'd like entering the password to be a bit faster. Dashlane (a competitor I used for a while before switching back to Roboform) allowed to just click near the password field and immediately fill in the fields. Cons: We needed the ability to have this also attached to applications. But a few of our applications we did NOT want it to remember password for security reasons. There were no administrative controls to whitelist or blacklist desktop applications to have it attach and remember passwords for. We had turned off applications as a whole, yet it was still attaching itself to the application which was actually causing issues on that specific application. We had to send instructions after the fact to all users to have them change their settings to NOT be part of passwords for applications. We would greatly appreciate this functionality be built in. Anything that is made for an enterprise should be able to be controlled centrally for ALL settings. Overall: Good. Sales process and sales support was good. Appreciate everyone's time.